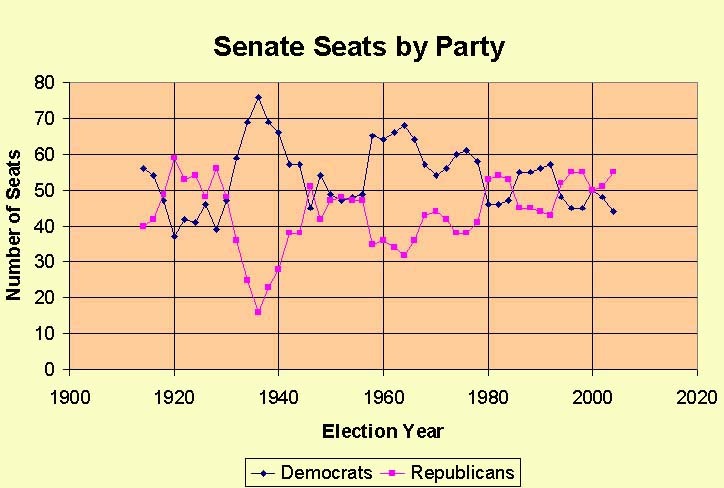 Senators have been elected by popular vote since 1914, when the 17th amendment to the constitution took effect. The results of each of these elections by party is shown below graphically. Independents who caucus with a party count as members.